The number of people suffering, and all too often dying, from prescription drug abuse is staggering. And the epidemic is growing exponentially, fueled by the prevalence of opiate painkillers. Here's an overview on cause and prevention. > HURT ON THE JOB? 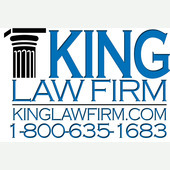 > CAR ACCIDENT OR TRUCKING ACCIDENT? 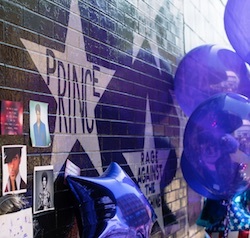 Opioid abuse has killed 165,000 Americans since 1999, including legendary musician Prince. Learn more. In April, musician and icon Prince died in his home from an accidental overdose of the prescription opioid fentanyl. In September, U.S. soccer superstar Abby Wambach revealed her long struggle with substance abuse and prescription drug addiction after an arrest for driving under the influence. High-profile stories like these are waking up all Americans to an exploding public health crisis. Overdose deaths from prescription opiates have quadrupled since 1999, claiming the lives of an estimated 165,000 people. At the same time, sales of these prescription drugs have also quadrupled, generating record profits for drug companies. Wading through the dangers of addiction while also dealing with serious pain can be an overwhelming challenge. You should know how to protect yourself and your loved ones from those who may have profits – not your well-being – as their top priority. Increase Overdose deaths involving prescription opioids have quadrupled since 1999, killing 14,000 people in 2014 alone. Per Day Every day, more than 1,000 people are treated in emergency rooms for misusing prescription opioids. Overdose rates were highest among people aged 25 to 54 years. Billion Sales of opioids reached an estimated $1.98 billion in 2014. Meanwhile, drug companies spent $880 million nationwide since 2006 fighting restrictions on opioids. The heroin addiction that eventually killed Cameron Weiss started when the 18-year-old was prescribed painkillers for a wrestling injury. Jennifer Weiss-Burke, Cameron’s mother, is now hoping to change state laws and prevent tragedy for others. View video. Consumer Reports investigates the myths surrounding prescription opioids, including misinformation about the risk of addiction. View video. President Obama teams up with Grammy winner Macklemore to speak about opioid addiction and present solutions for those looking to curb this epidemic. What’s Your Prescription Painkiller Experience? Take our survey on prescription opioid use, and we’ll enter your name into a drawing for a free iPod Shuffle. Dr. David Johnston has watched attitudes about prescription drugs shift dramatically during his 30 years in practice.